The new Royal Caribbean Club Casino at the Port of Spain in the Republic of Trinidad & Tabago’s city capital required a surveillance solution to easily monitor slot machines, cashiers, players and money transactions. The Casino needed a cost-effective way to utilize analog and IP video into a unified security system. Additionally, security managers needed a way to quickly pull up video footage when they detected anomalies. Beyond monitoring the casino floor, security personnel oversee the casino entrances and parking lots. 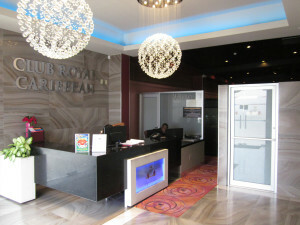 To meet their needs and stay within budget, Royal Caribbean Club Casino selected a complete, end-to-end Tyco Security Products video security solution. This solution created a cost-effective, seamless transition from analog to IP. 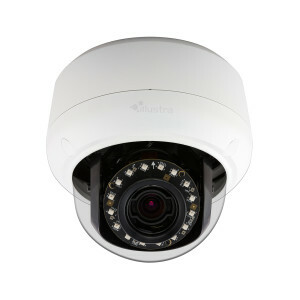 They installed 16 Illustra Flex 3 megapixel mini-dome cameras because of the high resolution quality images they provided. 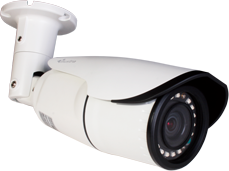 These cameras are located over the gaming tables for a clear view of the gaming chips and movements of the dealers and gamblers. Royal Caribbean Casino was satisfied with the extreme ease of installation and use as well as the new benefits they received from their integrated security system. “The video survelliance system left a very positive impression with our Security/IT management team because of its characteristics, on-time execution and cost-effective plan,” said Alexander Calito, Royal Caribbean Club Casino Director. Learn more about Tyco Security Products solution to migrating from analog to an IP security system. The Illustra Pro LT 2MP Bullet camera now has a larger field of view with a 2.8 – 12mm motorized varifocal lens. The new rounded sunshield reduces light interference and improves video quality. Learn more about the Illustra Pro LT Bullet on our website. If you have questions, contact your inside sales representative or call 317.845.5710.